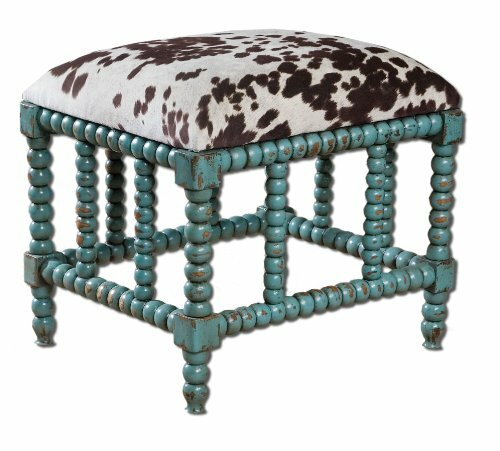 Uttermost Chahna Small Bench with Aqua Blue Finish On Solid, Grown Mango Wood With Cushioned Seat by Uttermost at Indsight. Hurry! Limited time offer. Offer valid only while supplies last. Uttermost's Small Benches Combine Premium Quality Materials With Unique High-style Design.